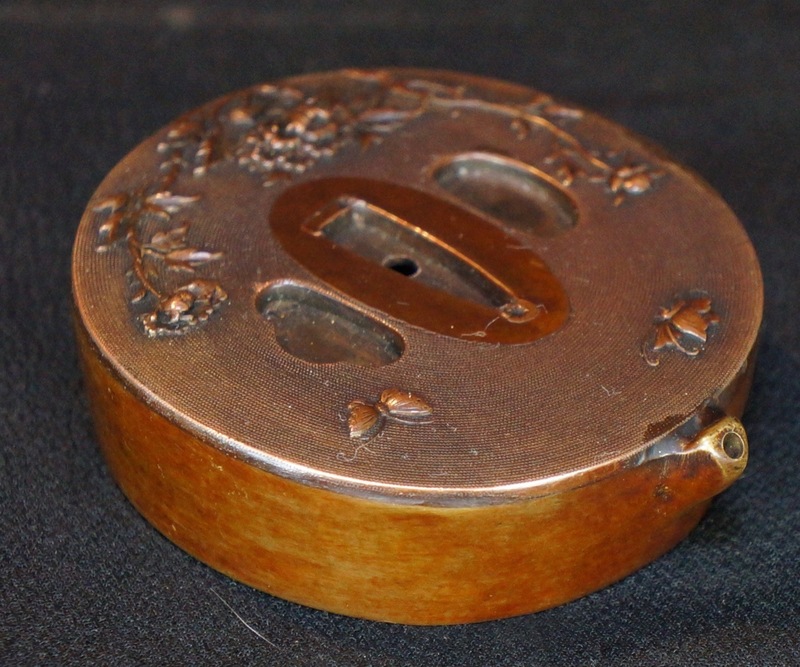 Antique Japan bronze Tsuba Suiteki water dispenser 1800s Japanese craft. 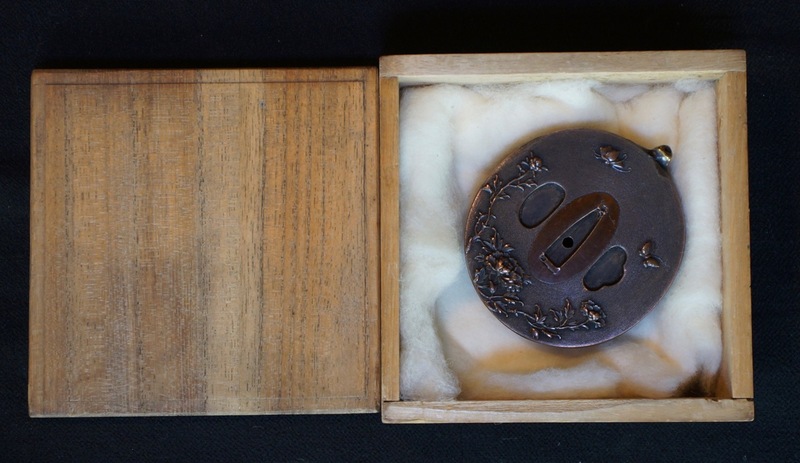 Antique Japanese bronze Suiteki water dispenses for Zen calligraphy made from bronze Tsuba for Tanto Katana. 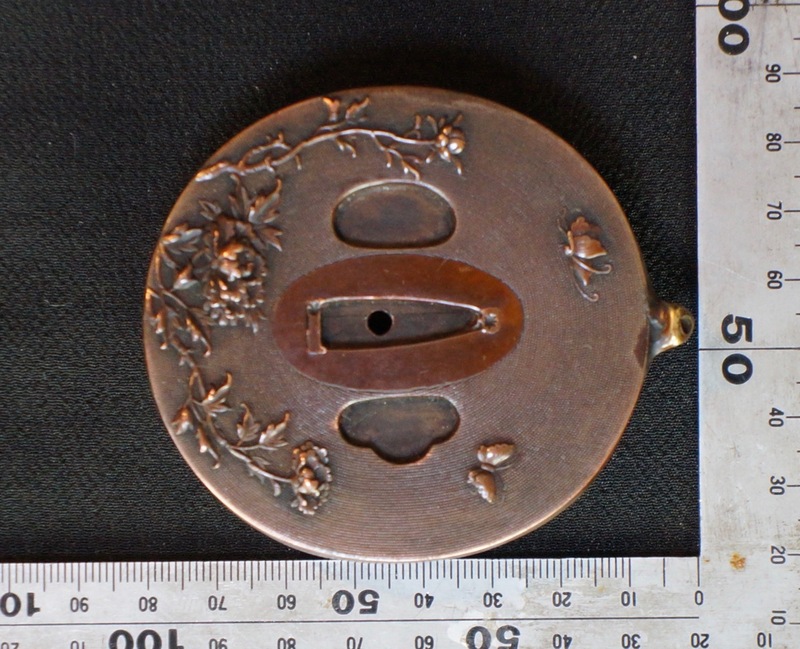 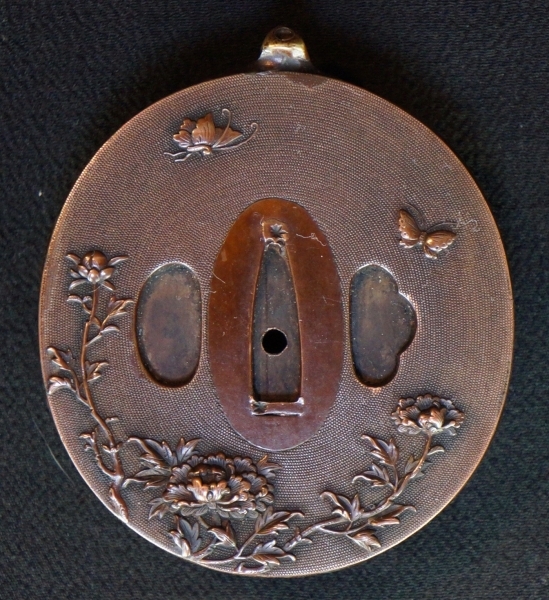 Fine floral and butterfly decoration, the Tsuba was once mounted on a sword and hit marks can be recognize. 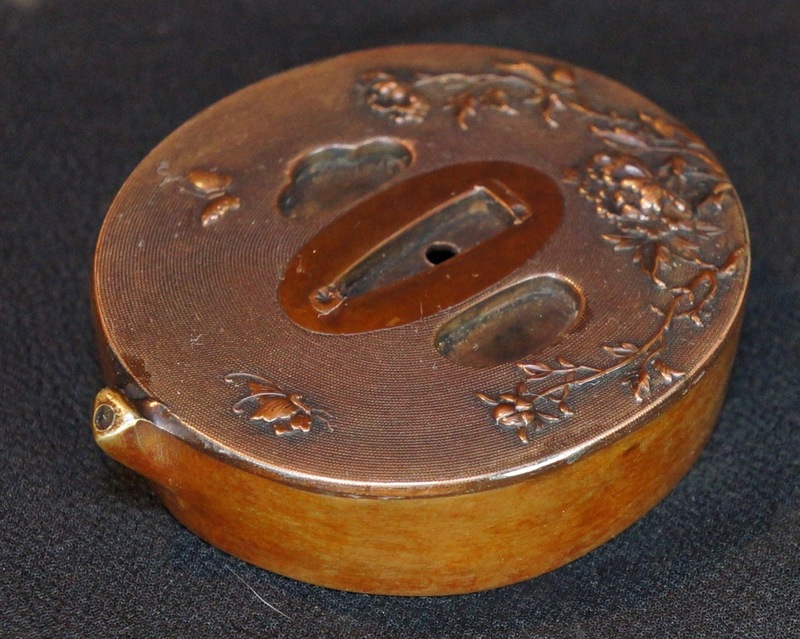 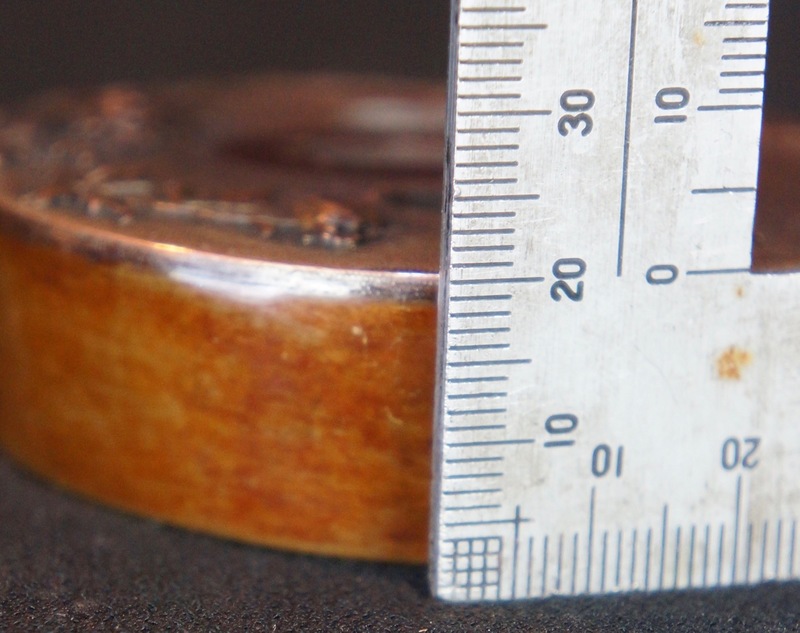 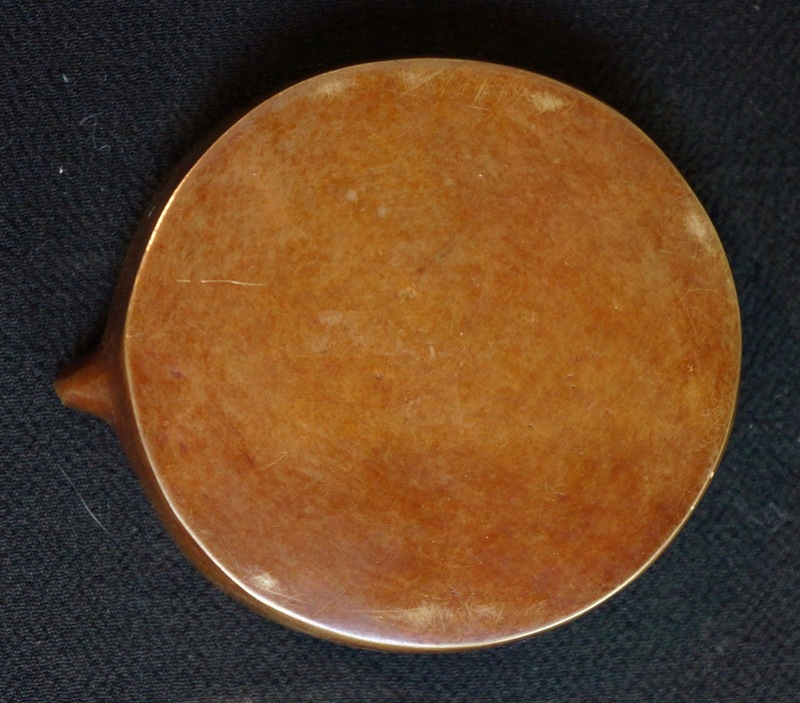 Nice craft and patina, light wear marks from usage and time, with protective wood box, immediately usable. 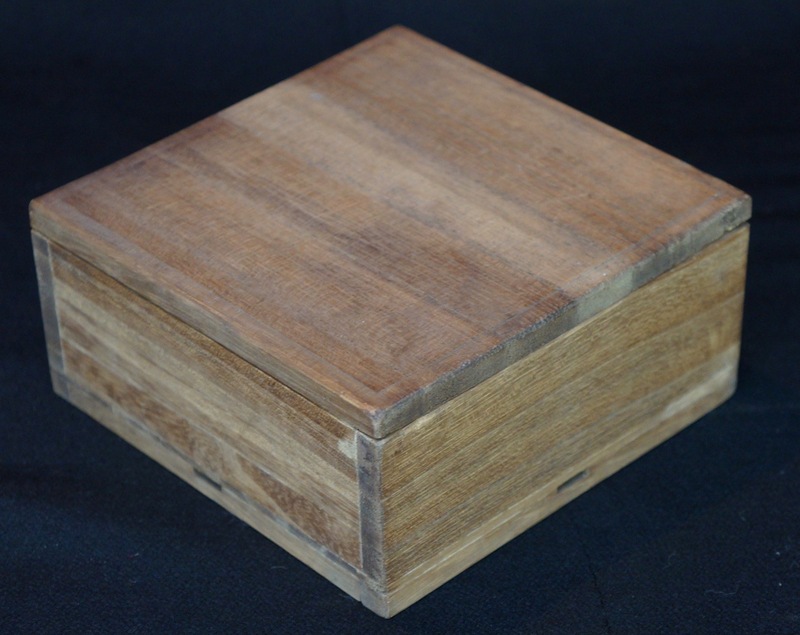 Dimensions: L 8 cm, L 3 inch, weight 0.210 kg + wood box and wrapping.